A stellar bowling attack from Nimesh Chavda and Usman Iftkhar saw the pair rip through the lower-order to see them leap-frog Thurleigh in the process, moving in behind North Crawley. Sam Hagger top scored for MK as he hit 67 before being run out en route to 278, while Neil Gordon fell shy of his half century on 47. But with Chavda taking 5-19 and Iftkhar 4-32 as Thurleigh were reduced for 141 - 137 runs shy of the winning total. 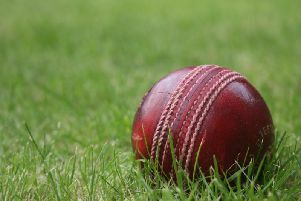 Jack Shiel’s 120 ensured North Crawley stay top of the table though as they saw off Elstow by eight wickets. Colin Bonnett took 4-23 to restrict the home side to 192-7, rescued somewhat by Matthew Stevens’ 54 not out batting at seven. Despite losing Alex Walker with the score on 12 though, Shiel and Matt Goss (53 not out) put Elstow to the sword. Shiel’s 120 came in just 84 balls, and featured 14 fours and five maximums as they cruised to victory to keep up a 46 point lead at the top. Olney are in fourth spot after a 65-run win over Great Horwood. After posting an unspectacular 202-7 - Peter Young top scoring with 39 - Stuart Keeping’s 4-25 kept Great Horwood at bay, all out for 137. 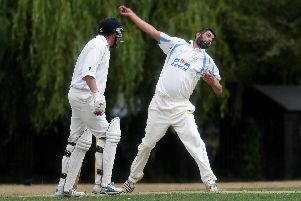 New City moved off the foot of the table thanks to a three wicket win over Eaton Bray. Jaco Jacobs’ 73 not out was the sole high-point for Bray as they posted 177-8, unable to play Manjit Singh, who took 5-17. In response, Mihir Choksi’s 54 not out as New City (179-7) took the win, climbing off the bottom and replacing them with New Bradwell, who were beaten by eight wickets by Westcroft. Three wickets apiece for Tahir Mahmood and Muhammad Shahzad restricted New Bradwell to just 100. Zaheer Khan’s 56 not out made it routine for Westcroft (101-2).